Enjoy nature’s beauty year-round with one of our stylish, energy efficient all season rooms. 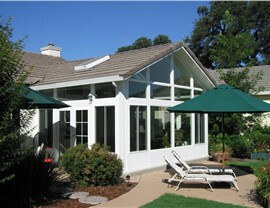 Whether you’re looking for additional space to entertain family and friends or you want a room that allows you to soak up your beautiful outdoor surroundings without ever having to worry about inclement weather, C-Thru Sunrooms can help. 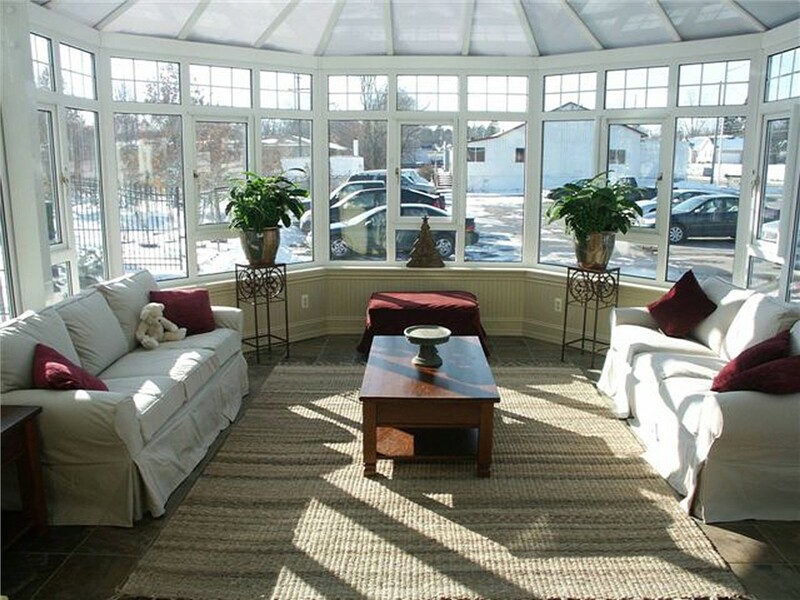 We feature a selection of high-quality all season sunrooms that give our customers the freedom to enjoy the outdoors from the comfort of the indoors all 12 months of the year. 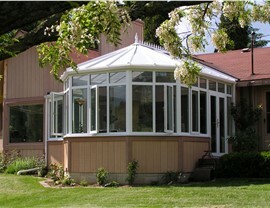 At C-Thru Sunrooms, we recognize that every homeowner has unique needs and our professionals will work with you from start to finish to ensure you get exactly what you want. 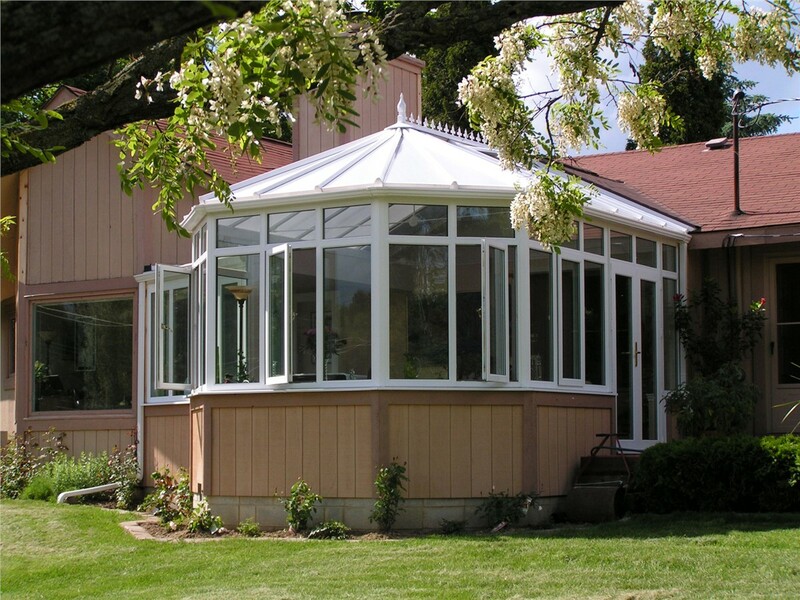 We’ll help you customize every detail of your sunroom and with our flexible and affordable financing options, installing a sunroom is easier than ever. Energy Efficiency: We build all of our four seasons rooms for maximum thermal insulation to help maintain a comfortable atmosphere year-round while reducing energy costs. 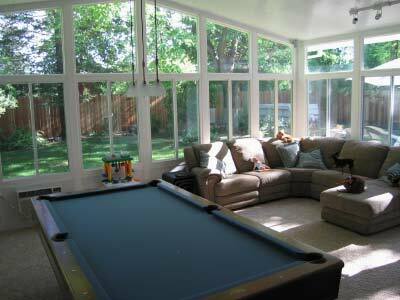 Tuff-core solid walls and double or triple pane glass are a few of our efficient options. 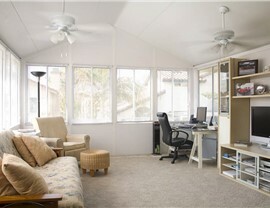 Customizable Design Options: No matter what type of style you’re looking for, our experts will help you achieve it. We feature a selection of windows, doors, roofing, and interior and exterior wall finishes so you can completely customize the appearance of your all season room. 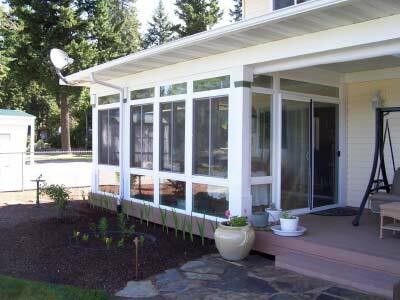 Style and Function: Not only do our all season sunrooms add style to your property, they also are fully-functional spaces. 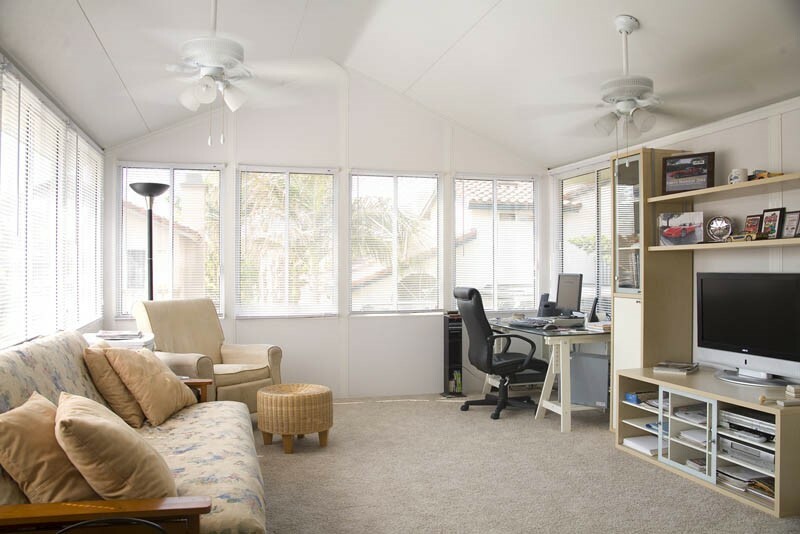 We’ve got everything you could want for your sunroom; overhead fans, recessed lighting, and electrical outlets are just a few items we offer. Ready to get started? 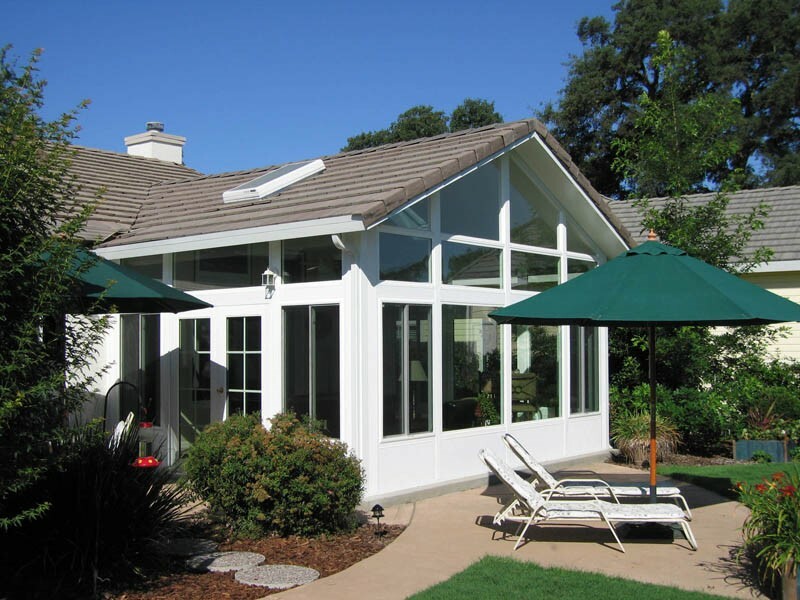 Get in touch with the expert all season rooms provider in Hayward, C-Thru Sunrooms, right away to learn more about our products and installation services. 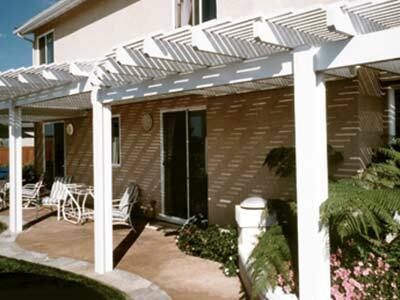 Give us a call or complete our convenient online quote form today to request additional information and your free, no-obligation project estimate.